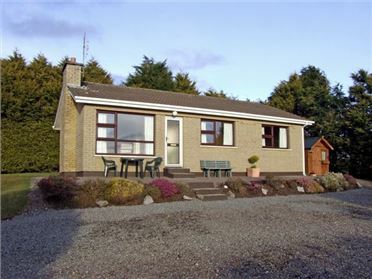 The Lodge is a well-finished detached house situated in the County Cork countryside, outside the small village of Carrigadrohid near Macrrom and can sleep nine people in three family bedrooms each containing one double and one single bed. Two of the family rooms are are on the first floor and are en-suite. The third family room is on the ground floor, plus there is a ground floor family shower room. The rest of the house contains an open plan living area with kitchen, dining area (seats 6) and sitting area (seats 5) with solid fuel stove. There is also a utility. To the outside of the property there is ample off road parking and a patio area with furniture. There is also shared use of a games room with snooker table and bar at the owner's bed and breakfast, just a four minute walk away. 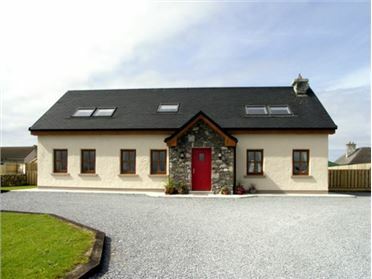 The Lodge is ideal for families or groups of friends looking for a countryside retreat. 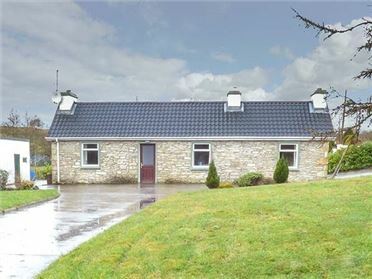 Three bedrooms: 2 x family rooms with 1 double and 1 single (one with en-suite shower, basin and WC and one with en-suite bath, shower over, basin and WC), 1 x ground floor family room with 1 double and 1 single. Ground floor shower room with shower, basin and WC. Open plan living area with kitchen, dining area (seats 6) and sitting area (seats 5) with solid fuel stove. Utility. Oil central heating with solid fuel stove. Electric oven and hob, fridge, washing machine, tumble dryer, dishwasher, TV with Saorview, DVD, WiFi, selection of books, games and DVDs. Fuel, power and starter pack for stove inc. in rent. Bed linen and towels inc. in rent. Travel cot and highchair on request. Ample off road parking to side of property. Patio area with furniture. 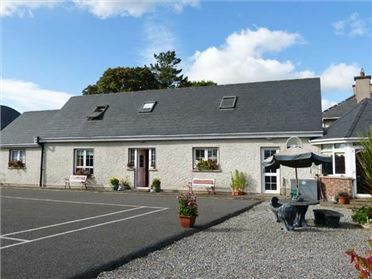 Shared use of games room with snooker table and bar at ownerÃ¢€â„¢s B&B, just 4 mins walk. Sorry, no pets and no smoking. Shop and pub 2 miles.